Friends of the Royal Saskatchewan Museum have started an Eco-Warriors Club for 9-12 year olds from April 29 to June 24. Sunday afternoon field trips (by bus) will look at compost, recycling, shopping locally, and burrowing owls. Delila Jahn-Thue’s son urged her to stop burning trash. Not only did the family change their waste practices, but they are promoting a recycling facility in their rural municipality. In addition, Jahn-Thue wrote an ecological fairy tale for children – Advice between Kingdoms: How the Hays moved Trash Mountain. Brainsport is holding their annual Meewasin River Clean Up on April 19. Meet at Brainsport at 6 pm. Bring work gloves and comfortable shoes. Stop by the Meewasin Valley Centre at 2 pm on April 22 to pick up an information package and some bags so you can help spring clean Saskatoon. Greg Fenty, Education Coordinator, Saskatoon Zoo Society, is leading a trip to the Athabasca Sand Dunes offered by the Centre for Continuing and Distance Education, University of Saskatchewan, from July 8-14. An information night will be held at 7 pm on April 25 at the Williams Building on Cumberland Avenue. Eco museums foster a sense of place, local participation, and local community development. Two Saskatchewan examples are the Prairie Wind & Silver Sage Museum at Val Marie and Redberry Lake Biosphere Reserve. Prairie Wind & Silver Sage, operated by the Friends of Grasslands, includes museum exhibits, an independent bookstore with a focus on Prairie authors and stories, an espresso bar, and several art exhibition spaces. Redberry Lake Biosphere Reserve offers educational events, works with local landowners, and provides a wonderful spot to hike or be on the lake. The Saskatchewan Prairie Conservation Action Plan (PCAP) is looking for volunteers to help promote Native Prairie Restoration Week. You’re encouraged to download and distribute posters, plan events and displays, or post information in your newsletter or on your website. 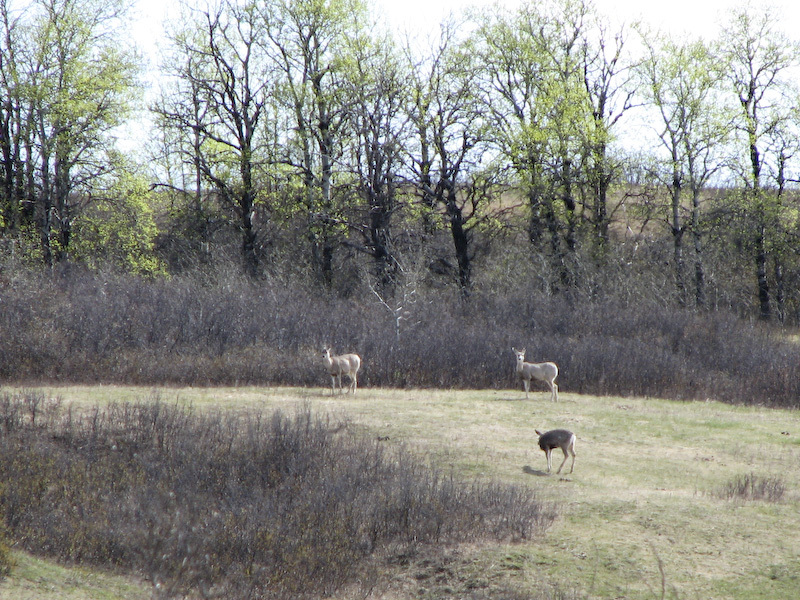 PCAP SK has also prepared a downloadable checklist of 20 ways we can enjoy native prairie. EcoFriendly Action Grants are small, monthly grants designed to support concrete, tangible environmental projects in Saskatchewan. Apply now. Find out all about caterpillars, butterflies, and butterfly-friendly native plants with this handout on Butterfly Gardens. A two-day workshop for educators on Teaching and Learning with Monarch Butterflies will be offered in Regina on July 10 and 11. The City of Saskatoon is holding an open house from 7-9 pm on April 24 to provide information about Saskatoon’s first “Bike Boulevard.” The boulevard will provide a safe cycling route from downtown to Blairmore. Barcelona reduced power consumption and light pollution by installing LED lights that come on when people or cars approach and turn off as they move on.